Autumns are still the best time for piano music in Toronto. Should a traveler walk through the parks of the green-turned-gold North American metropolis at this time, he may hear piano music in his mind. Fortunately there is someone to take that music out of my mind, I thought while connecting from the Dundas West subway to Gallery 345 in Toronto’s West End, for Teo Milea’s sold out concert. It was here at 345 where his journey on this side of the pond started in November 2015. Lucy, a friend joining me for the show, will see Teo for the first time. She wants to know what to expect. “Sound in colour”, she says as we move through the vivid scenery. There is a massive purple painting behind the grand piano, a splash of luminosity to accompany the 11-track set tonight. Teo’s black & gray attire matches his trademark curls. The setlist masterfully weaves sensible, romantic soundscapes with forte-fortissimo passages where the instrument resonates for many seconds after the climax. Speaking of the art of piano, Lucy observes the crafty use of the sustain pedal, to support the lingering emotions. For his audience, Teo played four un-published songs, that cannot be heard anywhere else but in concert. “City Lights” opened the night to set up the mood. Later on, “Remembering”: a composition commissioned by McMichael’s Gallery on their 50th anniversary back in 2016. “Serenade” was a Canadian premiere tonight, and you must see the short video of Teo playing it at his studio for…his cat Bubu, laying on top of the piano with feline grace and sophistication (it’s on Teo’s Facebook, posted Oct 18, 2018). The concert ended with “Momentum”, a breathless rollercoaster played at breakneck speed, with enough power to move the most impenetrable souls in the audience. As people line up to talk to the artist and get autographed CDs, I notice how Teo’s audience evolved after three years in Toronto. There are lots of new faces, young and old. And his concerts are always sold out. You can see Teo Milea on December 8, 2018 at the Ontario Romanian Canadian Association. 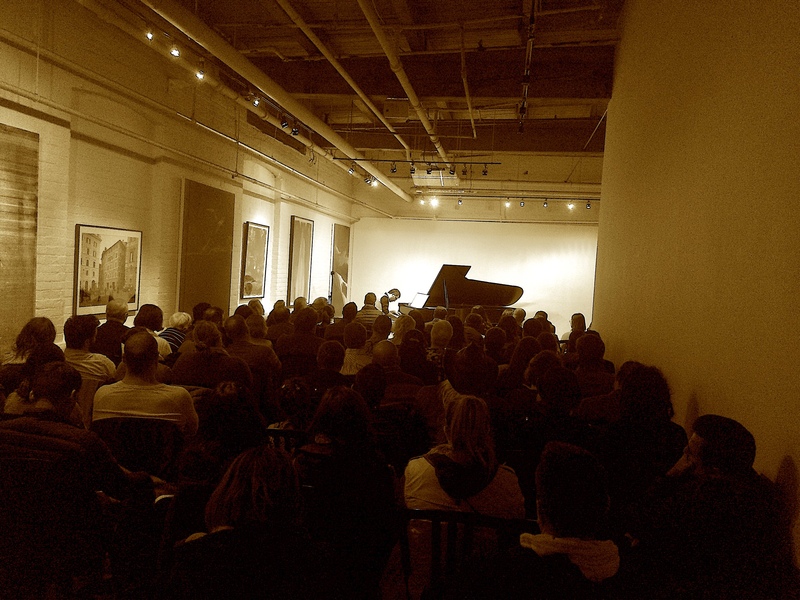 Posted in English blog and tagged as concert, live, November, piano, teo milea, the art of piano, Toronto.